Our culture is all about the next new thing. And with the world changing so quickly these days, today’s big thing will feel like a distant memory by the time tomorrow comes. The word “modern” has taken on a whole new meaning in our fast-paced world, and it’s evident in everything from clothing to food to transportation. Automobile design and technology, in particular is changing by the second, leaving people wondering what ever happened to tried-and-true, classic styles. Thankfully, when it comes to transportation, Low Country Valet keeps one on the future and the other on the past. Sure, we have plenty of modern options when it comes to transportation for weddings, parties and other events; but we also maintain a full fleet of amazing vintage vehicles to serve those who want to ride in timeless style. There’s just something about the way vehicles used to be designed and built that still appeals to people, regardless of how quickly the world around them may change. New cars are efficient, modern looking (until the next model rolls out) and relatively comfortable, making them good options for people who want cutting-edge flair for their wedding or event transportation. However, vintage vehicles like the ones we feature in our fleet are an outstanding option for those who want to transcend time and enjoy the classic style and comfort that only a seasoned vehicle can provide. Curious about the vintage vehicles we have available? Ready to Ride in Vintage Style? 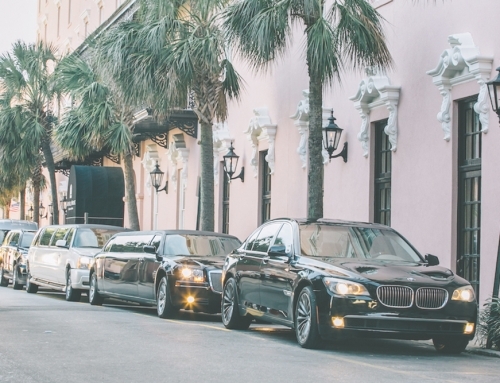 Whether you have a wedding coming up or you simply want to arrive in style at your next big event, Low Country Valet is here for you. We’re becoming well known in Charleston for our great service and amazing vehicles, and we’re sure to have the perfect vintage vehicle for your needs. Call Low Country Valet Today! If you’re ready to find out how you can reserve one of our classic cars, we invite you to call us today. Pick up the phone and dial (843) 810-0107 to find out how we can help make your vintage vehicle dreams come true!